IT Governance offers a unique range of products and services designed to help you protect your business from the impact of cyber risk and to ensure business continuity in case of a breach. 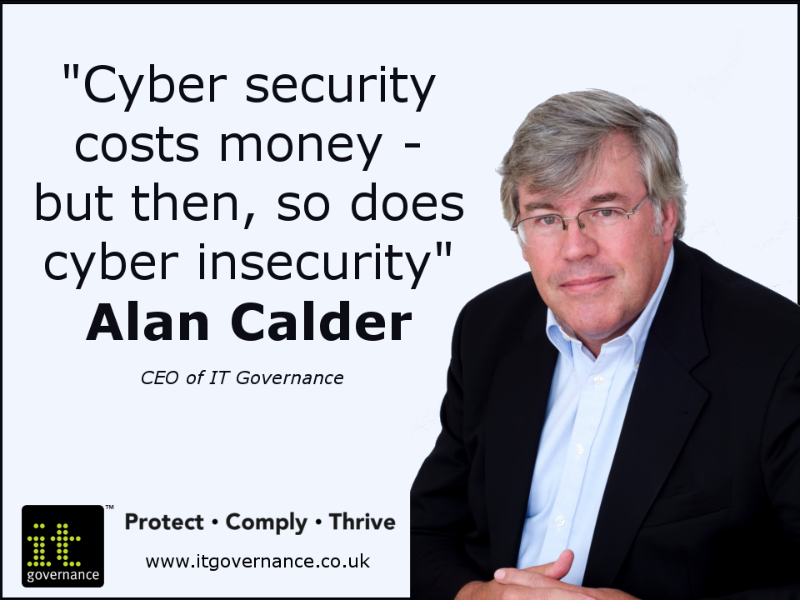 Written by cyber security expert and IT Governance founder and Executive Chairman Alan Calder, this green paper discusses cyber security threats, cyber security defences, and how to go about protecting your business. Enter your email address below and we will send you a copy straight away. Cyber security standards are generally applicable to all organisations regardless of their size or the industry and sector they operate in. You can purchase from our website the following standards that are usually recognised as essential components of any cyber security strategy. See our full range of cyber security books here. Cyber security skills are essential to any organisation committed to addressing the rising cyber threat. Our cyber security learning pathway provides opportunities to develop expertise and gain industry-standard certifications. See our full range of cyber security training courses here. IT Governance offers Penetration Testing Packages that are designed to provide a complete solution for the efficient and routine testing of your IT system.